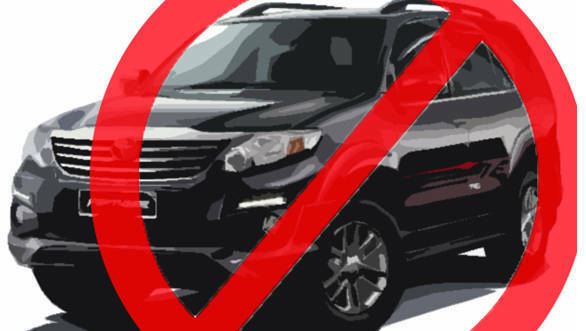 Banning diesel vehicles seems to be a growing trend in India, as Kerala has followed in the steps of Delhi. The National Green Tribunal's bench in Ernakulam temporarily banned the registration of new diesel vehicles that displace over 2,000cc in Kerala. However, all public transport vehicles and government vehicles are exempt from this order. The interim order also states that "all diesel vehicles, whether light or heavy, which are more than 10 years old, shall not be permitted to ply on the road in major cities such as Thiruvananthapuram, Kollam, Kochi, Thrissur, Calicut and Kannur". The order stated that any person found violating this order after 30 days will have to pay a penalty of Rs 5,000 as an environmental compensation. These fines can be collected by the traffic police or the officials of the State Pollution Control Board. According to the order, the collected fines should be spent only for the benefit of the environment in the cities where the ban is imposed. These orders were issued by Justice Swatanter Kumar and Bikram Singh Sajwan in response to a plea that was filed by the Lawyers' Environmental Awareness Forum. "All our models in India are available in sub 2-litre engine options (from the entry-level V40 to the latest 7-seater SUV XC90) and comply with the most stringent emission norms. All our vehicles are Euro-6 or BS-VI compliant and now have some of the lowest CO2 emissions among all luxury car brands in the world. Volvo Cars was the first car company in India to make Diesel Particulate Filters (DPF) standard way back in 2007. DPF reduces emission of particulate matter PM2.5 and PM10 by upto 99 per cent. We have also taken the lead to further clean the air in and outside our vehicles. Inside our cars, we have CleanZone carbon filters which restrict particulate matter from entering the cabin," said Tom von Bonsdorff, managing director, Volvo Auto India.